Rafael Benitez is convinced the Liverpool side which will head into Champions League final battle with Real Madrid on Saturday is better than the one he led to glory in 2005. Benitez is still revered on the red half of Merseyside after guiding his team to a dramatic penalty shoot-out victory over AC Milan in Istanbul at the end of a game in which his side had trailed 3-0 at half-time. That night, skipper Steven Gerrard inspired a remarkable fightback, but the Spaniard believes Jurgen Klopp’s men have more weapons at their disposal with Mohamed Salah, Roberto Firmino and Sadio Mane among the ranks. He said: “I think this one is better. We achieved what we achieved—they talk about the Miracle of Istanbul—but this team is better. “If we talk about the money spent, my budget was £20 million. £20 million. The value of this team is so much higher. “We had Stevie, of course, also some players with experience and quality, [Xabi] Alonso and [Didi] Hamann. We had players who worked very hard, we had a good balance. “This team also has good balance, but the three players up front can make a difference on their own. We had one player who maybe he could make a difference on his own, and here they have three. “The team spirit, the intensity could be more or less the same because it’s the Liverpool way, but what they have today is more quality, especially up front. 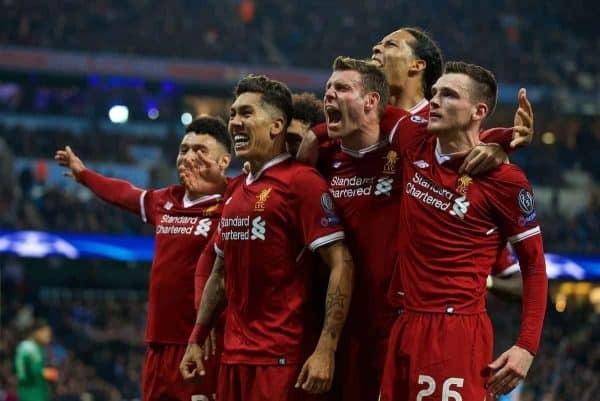 Liverpool’s surge to this season’s final has inevitably rekindled memories of their heroics 13 years ago, when they defied the odds to claim a fifth European title on a night when fortune eventually favoured them. Benitez said: “People say we were lucky in the final, but were we lucky in the earlier rounds when we beat Chelsea and Juventus and Bayer Leverkusen? Benitez had already tasted success by the time he arrived at Anfield in June 2004, winning two league titles and the UEFA Cup with Valencia, but adding the Champions League to his curriculum vitae catapulted him to a new level. He said: “To win the league with Valencia in Spain after 31 years changed my life. To win the UEFA Cup with Valencia changed my life, it changed everything. Just how much his life would change was brought home to him within hours when a security guard barred his path as he tried to usher friends into a post-match celebration.